We are also excited to announce our full line up for the September 17th 2004 Pro Wrestling Canada show in Vancouver. Tickets are available In advance on the PWC website. Chief Billy Two Eagles vs. Notorious T.I.D. Tickets for the September 17th, 2004 debut show for Pro Wrestling Canada have gone on sale already on our website in the merchandise section. Tickets in Advance are $20 for Ringside and $12 for general seating. The tickets on the day of the event will be $25 for Ringside and $15 for general seating. We suggest you considering buying your tickets in advance since we are expecting the show to sell out before the date of the event. We also will be selling dinner after the show where the fans can enjoy eating with a few of their favourite wrestlers. Scheduled for the show already San Antonio native Billy Two Eagles versus the Toronto Based Notorious T.I.D., For the Main event we have two legends of the game with the great Gama Singh fighting “Maniac” Matt Borne. Both of these men are no strangers to each other. Both are International Superstars, and both have wrestler for numerous of the major promotions around the world. These men have not faced off since their Feud in South Africa where they fought in front of a sold out crowd. Pro Wrestling Canada would also like to announce that we have concluded discussions with Enrique Cruz. We have come to a working agreement which will see Mr. Cruz become part of the PWC team. He will be coming to Canada to improve on his abilities and to gain valuable experience. The exact date of his debut is unclear, but he is expected to be here either in October of November. Quique Cruz headed to PWC??? PWC International Booker Jason the terrible is in negotiations with a former IWA PR star and current WWC New Generation Star. Enrique "Quique" Cruz is one of the hottest stars on the Puerto Rican wrestling scene and is trained by the legendary Carlos Colon. Trained in several martial arts he could make quite the impact in Pro Wrestling Canada and opening the door for more Puerto Rican stars to Fight in the PWC squared circle. Pro Wrestling Canada has filled our International Booking Agent spot. We have decided to go with some one who has had experience around the globe to help fully develop our roster making it truly one of the worlds greatest. Jason the Terrible starting immediately will take over full responsibility of all Talent based in Puerto Rico, Mexico, Korea, and Japan amongst other Pacific Rim, Caribbean, and South American countries. We are also proud to announce that beginning in the fall he will be one of the head trainers at the Pro Wrestling Dojo opening soon. We will be announcing our North American Booking Agent and two other International Agents in the months to come. Pro Wrestling Canada is just days away from opening up our Online Shopping Cart. Our credit card processor is in place and now all we need to do is finalize the customization of the shopping cart. We expect the cart to be live to the public Monday morning to start the month of May off on the right foot. We will be slowly populating the cart with merchandise and tickets for sale as things come in. All PWC tickets will be for sale in advance online. With the opening of the shopping cart the first 2 signed matches for the September 17th show will be announced. The Pro Wrestling Canada international booking agent has just begun talks with a Sadistic Legend. If an agreement can be made the stars of PWC will no doubtingly be running in fear. Other potential talent in Puerto Rico, Mexico, and in Japan are being interview and scouted to bring you the best possible talent at every Pro Wrestling Canada show. 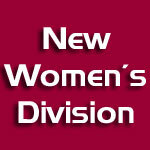 Pro Wrestling Canada is proud to announce our decision to actively seek Wrestlers for our new women’s division. We are looking for 8 competitive, hard working, and dedicated women to join our roster. We will begin booking several of them to fill slots on our shows for the remainder of 2004. During the beginning of 2005 Pro Wrestling Canada will be holding a tournament to declare the first ever PWC Women’s Canadian Champion and be given the chance to defend her title across Canada. Please contact our booking team and they will provide you with info to for becoming part of the PWC team. We also are looking for Women who wish to start an exciting career in the Wrestling business. If you are interested please contact our training school. Pro Wrestling Canada normally charges $2000 for the training school but we will be giving away two scholarships to women who qualify. You must be 18 years of age or older within the 2004 calendar year. Pro Wrestling Canada has confirmed the location for the September 17th debut of PWC. 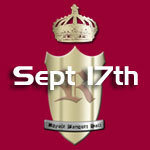 The location is that of one of our sponsors, the Royale Banquet Hall 2122 Kingsway, Vancouver, BC. With the confirmation of the venue PWC can now go through the process of announcing matches and selling tickets in advance. Be sure to keep checking back daily for updates. We expect to list the first match within the next 7 days. We would like to thank the Royale Banquet Hall for their willingness to allow Pro Wrestling Canada to hold events there. 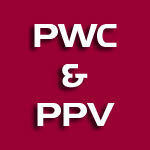 PWC on Pay per View??? An interesting development last night occurred for Pro Wrestling Canada. One of the owners received a phone call and after a lengthy conversation there is the potential for Pro Wrestling Canada to have streaming Pay per View’s on the internet using the services of a Toronto Based Internet Technologies company. Videos can be streamed at full screen high resolution. Discussions will continue and if a deal is worked out this could mean some very big things for Pro Wrestling Canada and fans around the globe.